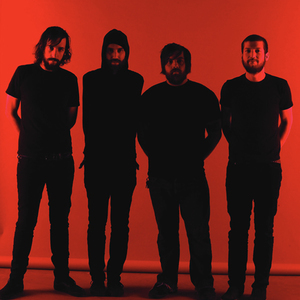 Junius is an American rock band from Boston, Massachusetts, United States that formed in 2003. The band is composed of lead vocalist and guitarist Joseph E. Martinez, guitarist Michael Repasch-Nieves, bassist Joel Munguia and drummer Dana Filloon. The band's name is taken after Junius, the pseudonym of a political writer who lived during the late 18th century. Junius's first releases were two EPs on Radar Recordings, Forcing Out the Silence and Blood is Bright. In 2007, they reissued the EPs on a single self-titled CD. This album was also released on Radar Recordings. Junius's first releases were two EPs on Radar Recordings, Forcing Out the Silence and Blood is Bright. In 2007, they reissued the EPs on a single self-titled CD. This album was also released on Radar Recordings. Their first full-length, The Martyrdom of a Catastrophist, was released on November 10, 2009 through the label The Mylene Sheath in the United States and Make My Day Records in Europe. The album is inspired by the writings of theorist Immanuel Velikovsky and took the group nearly three years to complete. On May 20, 2011, it was announced that Junius would be covering the song Firehead by Hum. The song was included in the cover album Songs of Farewell and Departure: A Tribute to HUM, which was released on September 6, 2011. Junius released a split EP with the band Rosetta which contained the track A Dark Day With Night on September 27, 2011. On October 25, 2011, Junius released their second full-length titled Reports from the Threshold of Death. It was released and distributed via Prosthetic Records. A spring 2012 tour through the United Kingdom, Scandinavia, and Europe in support of the bands sophomore release is currently in the works, while a month long United States tour beginning on February 2012 has already been confirmed. In an interview with Blistering, the band stated that the follow-up to Reports from the Threshold of Death is currently in its "conceptual stages", and that they wish to continue to tour throughout 2012. The band released their first music video for the track All Shall Float which debuted on Alternative Press on February 4, 2012.